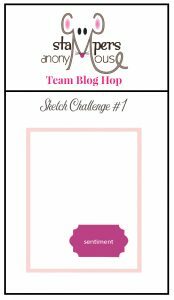 Thank you for joining us for our first Stampers Anonymous Team Blog Hop! The challenge has been set by Nikki Stalker and here is the sketch we are to work with. The inspiration for this sketch is from page 97 of the Annual Catalogue. Here is the card that I made for the blog hop. 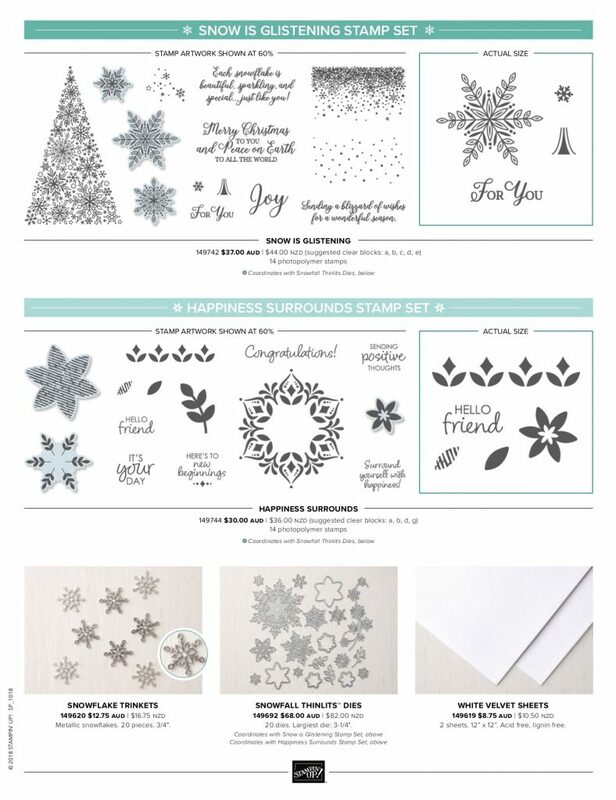 I used the Snow is Glistening Stamp Set which is only available till the end of November or while supplies last. I used the colours in the Joyous Noel Specialty Designer Series Paper as my inspiration. If you love this paper I would suggest you purchase it as soon as possible as its been very popular and has sold out overseas and will sell out here too and once its sold out its gone. If you get out of order you can click on the links below to get to get back onto the blog hop. You can follow along on these buttons. 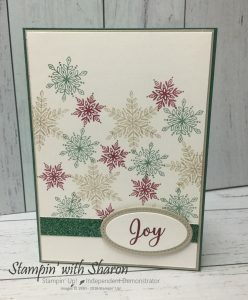 This entry was posted in 2018-2019 Annual Catalogue, Blog Hop, Holiday Catalogue, Stampin' Up and tagged Big shot, Blog hop, Sketch Challenge, Snow is Glistening, Stampers Anonymous by sharon. Bookmark the permalink. I totally love everything about your card! It’s so beautiful, Sharon! Such a lovely card Sharon!! 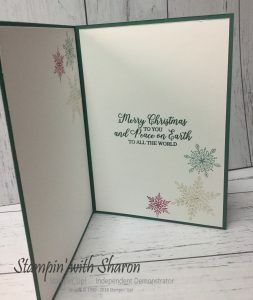 A wonderful Christmas card Sharon. The colours are perfect together. love these colours Sharon, great card! Beautiful colours Sharon, I love this card! Thanks Melissa. I enjoyed making this one. The snowflakes look gorgeous in those colours!